Size of this preview: 800 × 576 pixels. Other resolutions: 320 × 231 pixels | 640 × 461 pixels | 1,024 × 738 pixels | 1,280 × 922 pixels | 2,194 × 1,581 pixels. 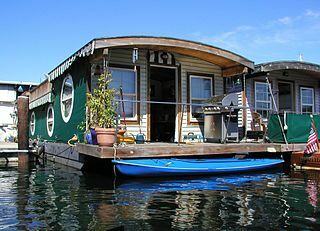 English: A houseboat on Lake Union in Seattle, Washington, USA. Source Transferred from en.wikipedia to Commons by Pentracchiano using CommonsHelper. This work has been released into the public domain by its author, Waqcku at English Wikipedia. This applies worldwide. 2007-08-26 08:27 Waqcku 2194×1581× (2200017 bytes) A [[houseboat]] on Lake Union]] in [[Seattle]], [[Washington]].